Pensacola Murder & Homicide Attorneys | Florida Criminal Defense Lawyer Michael J. Griffith, P. A. With offices in Pensacola, Florida, the defense attorneys at Michael J. Griffith, P.A. provide vigorous representation for murder and manslaughter defendants throughout the Southeast. For first degree murder (“perpetrated from a premeditated design to effect the death of the person killed or any human being”), Florida law mandates either life in prison or the death penalty. For second degree murder (killing in the “heat of passion” without premeditation), and aggravated manslaughter (negligently causing the death of a minor, an elderly person, or a fire or rescue worker) individuals who are found guilty can face up to a life sentence without the possibility of parole. If you are facing homicide charges, our Pensacola attorneys may be able to raise a number of potential defenses on your behalf. Three of the most common defenses are self defense, misidentification, and excuse. Under Florida’s self defense doctrine, a killing is lawful if performed while resisting the victim’s attempts to either kill you, commit a felony against you, or commit a felony in your dwelling while you are at home. The defense of misidentification is based on the simple premises that someone else – rather than you – committed the crime. Finally, an “excusable homicide” is one that occurs as a result of an “accident or misfortune” that occurs despite the exercise of ordinary care. While these may sound simple enough, they can be extraordinarily difficult to prove in a court of law. With your freedom – and potentially your life – hanging in the balance, you need a Pensacola criminal defense law firm with a proven record and a reputation for getting results for its clients. 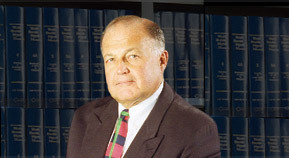 Our firm’s founder, Michael J. Griffith, has more than 35 years of experience successfully fighting to have his clients’ charges either reduced or dismissed entirely. Discuss Your Defense with the Attorneys at Michael J. Griffith, P.A. At Michael J. Griffith, P.A., we have the skill, knowledge, and dedication needed to obtain the best possible outcome in your murder or manslaughter case. Contact us now to get started. Located in Pensacola, Florida, we represent defendants throughout the Southeastern United States.